Upcoming elections in Tunisia will be the focus of both national and international attention in the coming period. Parliamentary elections on October 26, will be followed by a presidential election on November 23. The election campaign is in full swing at the moment. With these elections, hopefully a period of rocky political transition is coming to a close, but this is far from certain. Unlike the rosy analyses coming out of Washington suggesting that Tunisia is an island in a sea of instability, the actual picture in the North African country remains essentially fragile at best and could, despite the rosy prognoses, collapse. Still, Syria and Iraq might be in shambles, Egypt in the hands of a military dictatorship, Yemen in full political crisis, Libya for all practical purposes essentially (or nearly) in a state of collapse, here in the United States, Tunisia is being showcased as the Arab Spring’s only success story, a somewhat exaggerated sketch.. It would be surprising (to this commentator) if the upcoming election would change the country’s fundamental situation very much if at all. That the political process and that freedom of speech – that hard won victory -continue since Zine Ben Ali’s hurried exit from the scene in January 2011 is accurate enough. But it has otherwise been a rocky road these past years marked by assassination of leading democrats, bizarre (for Tunisia, with its history of tolerance) growth of radical Islamic fundamentalist trends, a decidedly narrow factionalism of the leading Ennahdha Party (which still retains a sizable base in Tunisian society), virtually no progress whatsoever in addressing the socio-economic crisis which triggered the late 2010 uprising in the first place. A dangerous shift to the political right and the growth of extremist Salafist influences has been, for the moment, held in check, although many dangers remain. At different times over this period, it has only been the intervention of massive popular demonstrations which has kicked a lack luster, unimaginative transitional government back onto the path of democracy and genuine reform. Despite promises to the contrary, since January 2011, other than in the energy sector for which there has been nothing less of the usual mad scramble for access, there has been little investment in the country’s interior and rural regions which remain ignored. No wonder that Salafist (Islamic radical) elements have found a base from which to lead a low level, armed insurrection against the government from these areas which the country’s small military, with little prior training in counter-insurgency, has as of yet, not been able to control. The collapse of the Khadaffi government in Libya, thanks to NATO, has led to an unending flood of all kinds of weaponry and the appearance of hardened radical Islamic fundamentalist guerrillas along with them has only added dangerous fuel to this security fire. Unemployment rates in the country in general and for youth in particular remain alarmingly high – in great measure triggering the youth exodus either to Italy or France to find work or to Syria via Turkey to fight for jihad against the Assad government. Looked at from this vantage point, “the Tunisian transition” hangs on a thin thread indeed with the claims of its successes premature to say the least. Although since the country’s October 2011 elections for a transitional “in principle” Tunisia has been run by a secular-moderate Islamic coalition of three parties, while technically true, the fact of the matter is that the two secular parties that shared power with Ennahdha had very little weight in the government, nor did they have much of a popular base. Ennahdha is the moderate Islamic party with ties to the Moslem Brotherhood which emerged after Ben Ali’s exit as the country’s political power broker having won more than 40% of the vote at that time. The more recent political arrangement in which, as a result of strong U.S. and French pressure, now Ennahdha shares power with Nida Tounes led by Beji Caid Essebsi, a former Bourguiba bureaucrat, has not proven much more effective although it cut down some on the radical Islamic fundamentalist drift. Despite its popularity in the halls of the US Congress and media,Ennahdha has given far more attention to consolidating its political power and de-constructing what it could of Tunisia’s secular traditional government heritage than addressing the country’s overall socio-economic crisis. For all practical purposes, Ennahdha did not have – nor does it have presently – an economic program beyond a few rhetorical sketches. Its general economic sympathies though, like those of other branches of the Moslem Brotherhood, lie distinctly within the framework of neo-liberal economic thought. Interestingly enough, however they might differ on theological questions, the economic policies of Salafist and Wahhabist tendencies in the Arab World are not different and quite compatible with Washington and Paris’ economic foreign policy priorities. These groups might have their differences on how far religious reform might go to “Islamicize” Tunisian (and other Middle Eastern) society, but economically speaking, when it comes to their support for the kind of neo-liberal capitalism dictated by the World Bank and IMF, there are no major and hardly any minor differences. It all smacks of a missed opportunity, at least until now. The demise of Ben Ali’s government offered Tunisia a golden opportunity to both openly critique the processes that led the country to such a full blown socio-economic crisis and to begin a national dialogue on the country’s economic future. What has been missing all along in the country is a national dialogue on the future of the economy, a vision for a new start and ideas, a plan as to how to get there. No nation which has made a successful leap from the global economy’s periphery or semi-periphery to the more prosperous core has successfully accomplished such a transition without such a long term plan, and one might add, without a pronounced role for state direction of the economy. Unfortunately, as in the past and despite denials to the contrary, most of the post 2011 economic ideas to transform Tunisia have come from abroad, specifically from Washington and Paris, and have been imposed on a weak government. In classic IMF tradition, many of the post Ben Ali era loan agreements with the Tunisian government were finalized under a veil of secrecy between the Bretton Woods organizations and the Tunisian Ministry of Finance. Same old, same old.The calls for a more open process and a national economic dialogue have come mostly from the left of the political spectrum and the trade unions, but until now, such calls have fallen on deaf ears in Tunisia’s power circles. Certainly it is not for lack of talent that such a process has been stymied as Tunisia has almost an excess of economic and technical talent with nowhere to go. It is not a place lacking in competency and originality when it comes to economics. To the contrary. But rather than addressing the economic crisis, shortly before the October, 2011 elections the public attention focused on the country’s religious heritage, with socio-economic questions sidestepped. It has taken nearly four precious years to even partially re-open such a dialogue, which has again come to the surface in the run up to the upcoming elections. As a result of this and the fact that the state has been desperate for funding, Tunisia’s economic path has been, as it was previously, mostly defined by external actors, the key ones being, once again the IMF, World Bank and G-8 countries. Like other financially strapped countries, Tunisia found itself in the awkward position of having to go begging for loans. The aid has come but with the usual conditions and secretive procedures attached. The “dialogue” if one can call it that over the country’s future has been limited to one between the IMF and a few in the upper echelons of the Ministry of Finance with most of the policies emanating from Washington. Add to that an increasing integration of Tunisia into Washington’s security plan for the region, over which, again, there has been a scarcity of discussion as it finds itself more and more deeply involved. Ibrahim Warde, in a fine piece in the October, 2014 English edition of Le Monde Diplomatique, described how the promises for a massive “Marshall Plan” like aid program from G-8 countries to the Middle East and North Africa, referred to as “the Deauville Partnership” at the outset of the Arab Spring was mostly talk, and very little action. Where aid has been delivered, as in Tunisia, it has been according to “the Washington Consensus” whose aid to poor and semi-peripheral countries like Tunisia comes with the usual “structural adjustment” strings attached, cutting government social programs, cutting subsidies, etc. with little focus on the country’s native economic talent and potential. More or less the same neo-liberal economic model of the Ben Ali years (1986-2010) remains in place. Tunisia is still viewed as a most faithful IMF structural adjustment student, having, along with Jordan, fulfilled the criteria for a major restructuring of its fiscal sector reforms needed. A classic IMF structural adjustment program proceeds apace in Tunisia, now more than three and a half years after the fall of the Ben Ali government. Indeed the IMF directed program which was first put in place before Ben Ali’s collapse in 2005 is essentially what has been since implement. It has never been interrupted. The political landscape might have changed some in the country, and a hard won freedom of speech still alive and well, but on the economic front, not much has changed. The media reports that Tunisia has emerged from the first round of the Arab Spring economically and socially stronger are considerably inflated. The loans have come, enough to permit the government to stay a float in the short term (as long as further loans come in the future), a short term fix with little longer term consequences. Until now, Tunisia has been a bit player, if that, on the oil and natural gas production scene, but this appears to be changing as deposits of both have been discovered both in the country’s southern areas of the Tunisian Sahara and off-shore.The IMF reforms demanded of the country in exchange for a sizable IMF loan without which the Tunisian government could not remain afloat, have the usual goal of opening up the country to foreign investment and protecting and maximizing that investment, especially where it concerns the country’s energy sector. 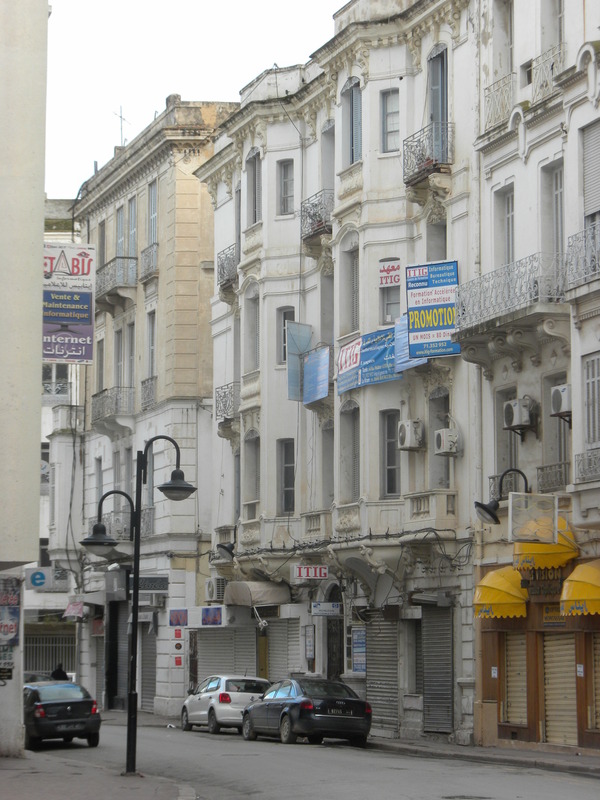 Much of the fiscal reform which has taken place in the nation’s constituent assembly – the law making body empowered by the October 2011 elections – has centered around legislation that would pry open the country’s emerging energy sector, making future investment in Tunisian energy easier and more profitable for foreign oil and has companies, as usual, at Tunisia’s expense. The sale of oil and gas leases has proceeded apace with very little to no public input or discussion. Add to this that the current prime minister, Medhi Jomaa, comes to his position as a former administrator at TOTAL, the French oil and gas giant with major holding throughout Africa (and elsewhere) and the picture becomes that much clearer. While there are a few Middle East countries left out of the equation, precious few actually, it is apparent that cutting energy subsidies is a part of a major IMF economic offensive. Tunisia is not the only Middle Eastern country pressured by the IMF to cut energy subsidies. Since 2011 – ie the outset of the Arab Spring – Egypt, Jordan, Mauritania, Morocco, Sudan, Yemen as well as Tunisia have been essentially forced to do so.Other countries that are following suit include Iran, and Saudi Arabia, both of which lifted subsidies on electricity in 2011, in the Saudi case for all users other than households. More recently Bahrein, Dubai and Qatar began to reduce subsidies on fuel and electricity to “reduce their budgetary burden” and “attack” economic distortions. Kuwait is planning to eliminate subsides on diesel fuel as well. That the Tunisian government would proceed, with considerable enthusiasm one might add, to implement the IMF structural adjustment package “to a t”, suggests that a kind of political amnesia permeates the country’s ruling circles. It was precisely such economic policies which Tunisia embraced in the past that led to the regional political explosion which has come to be known as “the Arab Spring.” In Tunisia, the 2010-11 revolt was specifically against the same policies now being presently adopted. As in the past, the country is in trouble economically – more so than is generally admitted both in Tunis and Washington – and the IMF (and other) loans the country needs to keep the government afloat come only, as loans tend to do, with political strings attached. One of the “sacred cows” of IMF loans is pressure on the recipient governments to cut government spending. While this can be achieved in a number of ways, an IMF favorite is to cut government subsidies that make the price of basic food items, energy, healthcare, education affordable to a nation with a low wage scale. How is it that for years, Tunisia has been able to boast that it offers “the cheapest vacation in the Mediterranean?” How can Tunisian electrical parts and textiles compete in the key French and Italian markets? Low wages have something to do with it. But for the IMF, which has long put profits before people, cutting government spending is nothing short of a “cause belli.” The IMF sees higher wages, especially those paid to state sector employees not so much as feeding and clothing a population, but as an inhibition to “growth”…and, by the way, to a country’s ability to pay off its debts to international lenders. Cut government programs, lift the financial burden on the state a bit, use the extra money to pay off the debt is what it is all about. That cutting subsidies,“shock therapy” has led to social unrest, economic and political explosions does not seem to concern the IMF very much. Nor is there much statistical data which actually substantiates that cutting subsidies improves the general welfare of the country’s involved. In Tunisia’s case, attempts to cut subsidies, under pressure from the IMF, go back some thirty years. In January, 1984, its economy in the doldrums, as a prerequisite to receive an IMF loan, Tunisia was required to cut the subsidies on bread and sugar. When these “reforms” went into practice, they provoked national riots, referred to as “bread riots”, perhaps the worst social crisis the country had experienced since its 1956 independence. The repression that followed was intense, resulting in the deaths of over 200 protesters. There were similar IMF-provoked bread riots in those years throughout the Third World. In Tunisia’s case, the then President Habib Bourguiba re-instituted the subsidies and as a result, the proposed loan was annulled. Nor in the two years he remained in office after the bread riots did Bourguiba again go begging to the IMF. Was it more than a coincidence that shortly after removing Bourguiba from power in a coup in 1986 that within weeks, Zine Ben Ali, the former’s interior minister, opened negotiations with the IMF. Tunisia has been a faithful advocate and implementer of IMF structural adjustment policies ever since. The last major IMF analysis of Tunisia took place in 2005, at the height of Ben Ali’s power. At the time, Ben Ali followed all the recommendation. It is interesting that, while Tunisia’s political landscape has been dramatically altered, that the current IMF recommendations follow along similar lines. From an economic point of view one could say, admittedly a bit cynically, that Tunisia experienced “all the change necessary to maintain the status quo.” All this does not bode well in the medium and long term for the country’s future. Rob, the insight you’ve given is definitely a clear 3D-map of the situation, as it is . One can run, but one cannot hide from the ‘naked truth’ . I, myself, have to bitterly admit, that I am still skeptical about this country’s fate . And what hurts most, is this sense of surrender the country tends to fall into ; a deja-vu that brought us already two Opressive Regimes, and which took 55 years, to eventually get rid of . The year 2011 was in fact, a ‘godsent’ opportunity that we, common tunisian citizens, aren’t supposed to miss , if we really want to built a modern State, with no further delay . These kind of opportunities happen only once in a lifetime, and the art is to know how to deal with a number of top priorities, one of which should have been, an immediate exclusion of the old guard from entering politics, until their names are cleared by the Justice Department . What we’ve got now, is that they’re roaming free, founding political parties, mobilizing people to vote for them, on empty promises just like in the old days . Although president Marzouki was calling recently, for the creation of an international Court, it would rather have been just as appropriate, to call for the creation of a special national Court, that takes care of business here at home . But I think it’s now too late ; the feeling of surrender is beginning to settle ( Que sera, sera…whatever will be, will be ! ) . I certainly do not hope so, but a society shapes itself according to the choices it makes, or have made, for better or for worse . Does it then mean, that a society usually gets just what it asks for ? I’m still not so sure , but every now and then, dilemma strikes and no one is sure of anything . Even though, Marzouki is by far the one who understood the message of this “godsent arab spring”, more than anyone else, and he’s working himself almost to exhaustion, in trying to restore what’s left to be restored, but only within the presidency domain . There is no single doubt about his dedication, and his honesty . Tunisia will be better off, with him as the next president, than with someone with only a ‘better look’ . The media never wanted to accept Marzouki, and when you ask them why, they’d start by saying that he’s not “representable”. … “doesn’t even wear a tie” etc…cliché upon cliché, with no single word whatsoever, about his skills . This ingratitude towards Marzouki, is bothering, because it’s unfounded , selective, and sounds like ‘girls talk’ . It’s not a beauty contest ! You judge politicians on their skills, and never on their appearences ! But no matter which direction tunisians will take, after the elections, it would all depend on who will be the president, as the person in charge on Forign Policy, among a few other things, but also as the person who can think ahead of his time, and can make accurate calculations for the long term policies, in combination with development-plans, reforms, economic growth, stability and welfare . Also as the initiator, or the referee . I believe that Marzouki can deliver, if he’s reelected, plus the fact that he does have long-term plans in his head, and which he talked about in his books, and he mentions often in his articles on Aljazeera.net . Yeah, on Aljazeera.net !!! Tunisian media shows no interest, for the reasons I cited above . Call it blackmail, underestimation, stupidity, blindness, self-pity . It just doesn’t make sense . All in all, if the voters decide to leave Marzouki out, it means they do not deserve him neither ! Comes to mind, an Arabic proverb “ …chaining ‘em and dragging ‘em to paradise “ , when you talk about someone who wants to save a person from drowning, but the person doesn’t cooperate . The word ‘paradise’ in this context, means improved life / better situation .